The Chapman Creek Cattle Company is owned by Clark and Susan Duffy. Our ranch is located in the western edge of the Flint Hills on Chapman Creek near Abilene. We also work other Flint Hills ranchers to ensure only the highest quality angus cattle are become part of our Certified Grassfed Program. Our mailing address is to our office in Topeka. Our certified grassfed beef is naturally lean, yet tender and flavorful, something only a truly natural product can provide. 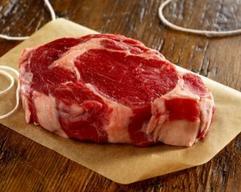 Certified grassfed beef has a firm texture and distinctively rich flavor you are sure to enjoy. We select only the finest calves and nurture them in our native pastures. These cattle never receive antibiotics or hormones and are finished on our native pastures. They are never fed grain or in a feedlot environment. 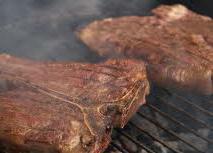 All of our cattle are processed and dry-aged to your specifications. Certified grassfed beef is the delicious healthy choice. Cattle that eat just grass have higher ratios of omega fatty acids that actually reduce the risk of health problems. Only fish and olive oil have higher ratios of omega fatty acids than grassfed beef. A healthy acid known as CLA is formed in the rumen of one of the stomachs of cattle when they only eat grass. The primary benefit of CLA is converting human body fat into lean muscle. This quality is what makes our grassfed beef so popular with our CrossFit athletes. We provide special pricing on our spring and fall processing each year. We provide FREE DELIVERY in the metro Kansas City, northeast and central Kansas area. For pricing information and availability of beef please contact us. Stay Slim-Be Healthy. Eat Grassfed Beef. 1. Do Not Over Cook. Grassfed beef is best at mediumrare. 2. 30% Less Cooking time. Low and slow. 3. 50 Degrees Less Temperature. Use a meat thermometer. 4. Moisture and Marinades. Grassfed beef loves them. 5. Steaks. 2-3 minutes per side, rest for 5 minutes. 6. Roasts. Remove 10 Degrees before desired temperature.